This Feist model is equipped with a reverse tanto style blade and features a hole cutout pattern on the handle. 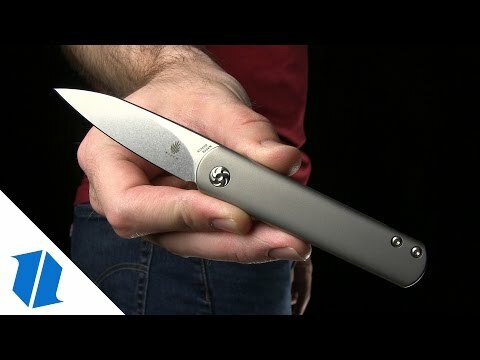 Knifemaker Justin Lundquist designed the Feist after losing his favorite EDC knife. With a lifelong passion for fine art and traditional craftsmanship, Justin applied his extensive camping and hunting experience to create this clean, lightweight EDC folder. The refined look and smooth flowing lines set the Feist apart from other EDC knives. It has a CPM-S35VN steel blade with a front flipper opener. The handle is made from 6AL4V titanium with a matte gray finish. 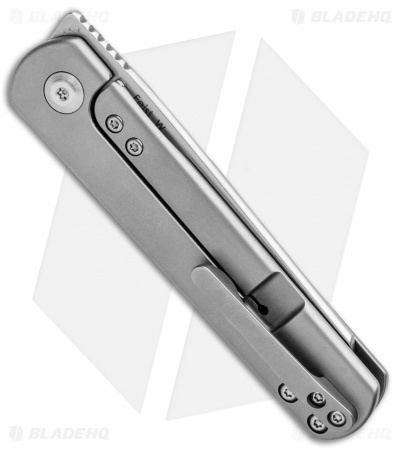 Add a highly functional piece of knife art to your collection with the Kizer Feist. 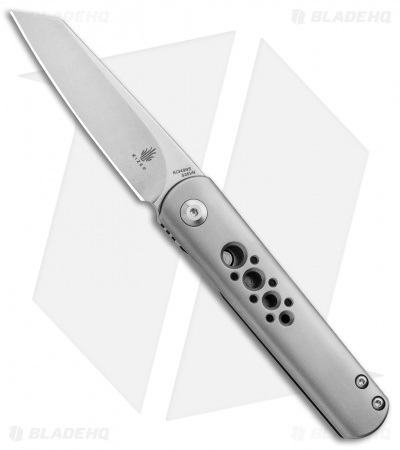 CPM-S35VN blade steel provides a tough blade with excellent edge retention. Rounded titanium handles for a smooth gripping surface that is comfortable in the pocket or hand. 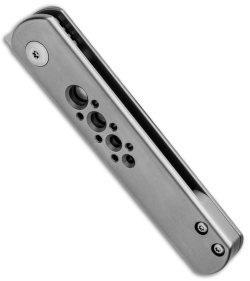 A sleek front flipper and ball bearing pivot offers quick blade deployment while adding to the clean aesthetic appeal. Love the look over the orginal feist. The construction is nice and the materials are great. The reverse tanto looks nice and is very useful for cutting. I received this knife and the whole package was amazing! The fit and finish of the knife is second to none for this price range. The edge was razor sharp. The full titanium construction is a piece of art and the blade shape is one of my favorites of all time. Definitely recommend picking this one up! It’s such a classy and smooth knife! It came hair shaving sharp and smooth as hell!! I own all 3 versions of this knife. Love the front-flipping action and the fit and finish are top notch for the price point. My only issue is that the edge was dull out of the box. I purchased two, and tested both, and neither could shave hair or cut paper. 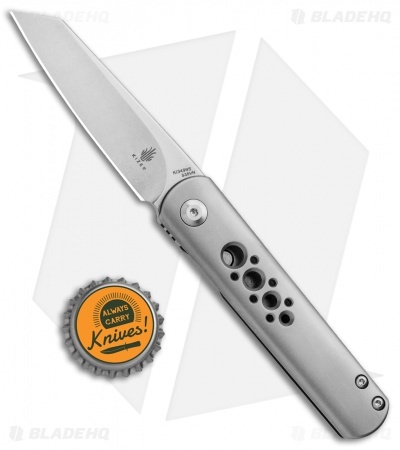 I plan to send one off to get sharpened, but at this price I would expect a sharper knife from Kizer out of the box. Otherwise great service from Bladehq, as always.